How Can Dana McGuffin CPA Assist Your Business? In eleven years of business, we have met hundreds of business owners, and we've seen a common trend. Eighty percent of businesses are struggling. In fact, most business owners go months or YEARS without receiving a paycheck. The business they started with such excitement has taken over the owner's life and is giving very little in return. Is your business not running as profitably as it should? 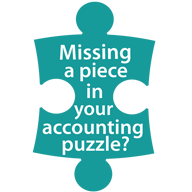 Are you spending too much time on accounting processing you don't understand? Should you be focused on what you do best- growing your business? We are here to take on the business accounting usuals- taxes, bookkeeping, and accounting- those things you didn't go to school to learn. Our goal is to get you back out doing what you do best in order to make your business as successful as it can be. 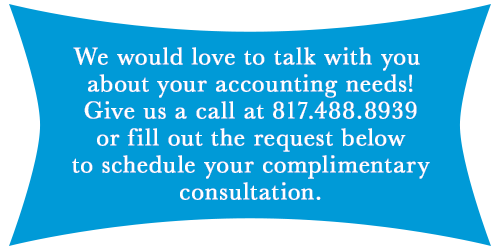 You'll find that we are different from many accounting firms you might interview. Monthly bookkeeping & accounting – customized to fit your situation and growth needs. Certified QuickBooks Pro Advisor – QuickBooks training, setup, and cleanup. Corporate tax preparation – including federal, franchise, state, and sales tax returns. Individual tax preparation – only for the owners of the businesses we serve. We will be your financial partner – We work to understand our clients' businesses and become their financial backbone to help them grow and succeed. We are competent – We know our stuff. You can turn over your bookkeeping and tax work without worry so you can focus on growing your business instead of figuring out the books. We provide extraordinary personalized service – We go the extra mile to make sure the needs of our customers are met.